MS is a chronic, progressive neurodegenerative disorder that is the result of an attack on the central nervous system (brain, spinal cord and optical nerves) by the body’s own immune system, which in turn causes inflammation and damage to the fatty myelin layer that covers and protects neurons. The damage from this attack leads to the impairment of motor function (coordination, balance, speech and vision), irreversible neurological disability and paralysis. It is estimated that more than 2.3 million people in the world suffer from MS, including 300,000 in the U.S alone. Progressive MS is estimated to affect at least 40% of all MS patients and is characterized by a gradual, steady progression of disability, leading to impaired vision and walking, pain, fatigue, incontinence and cognitive changes. Patients with progressive MS usually have a poor response to treatment, as all approved therapies are currently indicated for the relapsing-remitting form of the disease, and there is little or no recovery. The disease can be either primary progressive MS (PPMS; 10 to 15% of the cases), where patients develop this form of the disease from the time of diagnosis, or secondary progressive MS (SPMS; 85% of the cases), where patients initially experience a relapsing-remitting phase of neurological dysfunction that later evolves into a secondary progressive disease. 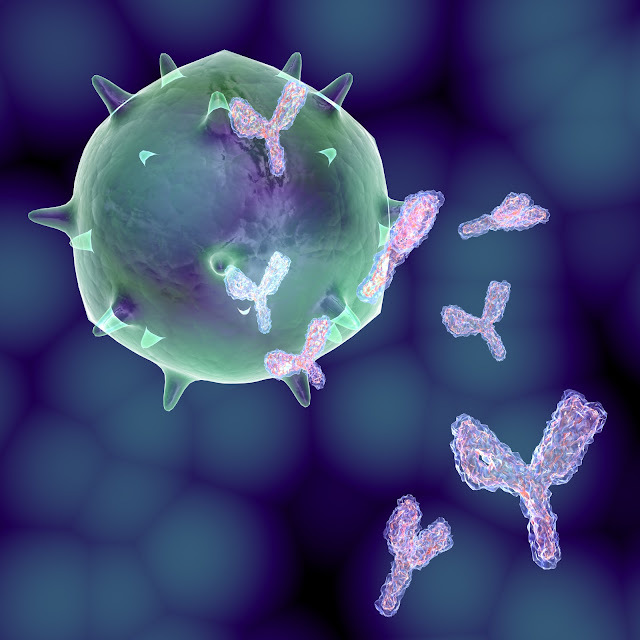 Immune auto reactive B cells and their antibody response have been reported previously by researchers to play a key role in MS development. In this study, the goal was to assess auto reactive antibodies’ frequency in patients with different MS forms, and see if they match up with clinical and magnetic resonance imaging (MRI) measures of MS disease progression. Possible co-morbidities were also evaluated, including infection by the Epstein-Barr virus (EBV), a common human herpes virus that targets B cells and which has been linked to an increased risk of MS. Researchers analyzed serum samples from patients and healthy controls for autoantibodies against three known antigens related to MS [CSF114(Glc), KIR4.1a and KIR4.1b] and against 26 different antigens linked to other autoimmune disorders, including systemic sclerosis, lupus, rheumatoid arthritis, among others. In total, samples from 315 healthy controls, 411 patients with relapsing-remitting MS (RRMS), 128 SPMS patients, 33 PPMS patients and 82 patients with other neurological diseases were analyzed. Researchers found that the frequencies of auto reactive antibodies against CSF114(Glc), KIR4.1a and KIRK4.1b were similar between healthy controls and RRMS, PPMS and SPMS patients, suggesting that these antibodies are not associated with MS or disease progression. In fact, none of the several autoreactive antibodies analyzed, including anti-EBV antibodies, were found to differ in terms of frequency between MS patients and healthy controls. The research team concluded that the frequency of the autoantibodies analyzed in MS patients is similar to the ones in healthy controls, and that the presence of autoreactive antibodies was not associated with clinical and MRI measures of MS disease progression. Researchers express their concern that CSF114 and anti-KIR 4.1a and KIR 4.1b peptide antibodies might not have the diagnostic MS properties that were previously thought to have. These new insights could help physicians improve the diagnosis of MS in the future — a key advancement, since diagnosing and treating MS as early as possible is critically important to mitigating the disease.